Fairness - The 2009 study titled International Trade in Used Vehicles: The Environmental Consequences of NAFTA, by Lucas W. Davis, Haas School of Business, University of California, Berkeley, and Matthew E. Kahn, UCLA Institute of the Environ- ment, studied the effects of the law since its passage in 1993, including trade patterns. The North American Free Trade Agreement was created to expand trade between the United States, Canada, and Mexico to make them more competitive in the global marketplace. As of January 1, 2008, all tariffs among the three countries were eliminated and trade tripled from $297 billion to $1 trillion between 1993-2007, according to the study. Fleecing Customers - In a 2009 CNN report, Guiseppe "Joe" Pirrone was on vacation when a relative called to say that the work truck he had purchased for his business was being seized by the police. Pirrone learned that the truck he legally bought in 2008 was actually a stolen vehicle, and he was a victim of a car cloning vehicle theft ring. While the truck was now police evidence, he is still on the hook for the $27,000 loan. 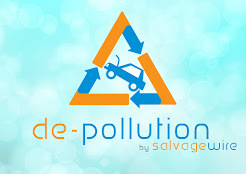 Stakeholder Perspective - Automotive Recycling magazine, in an effort to fully understand the issues surrounding the current marketplace of salvage and allow for varying opinions on the topic, sent questions to seven varying industry stakeholders, all who are members of the Collision Industry Electronic Commerce Association(CEICA) Salvage Committee. Here are three responses with their perspective on our questions. We appreciate their participation. The full articles are available on-line at http://www.a-r-a.org/paper.asp?paper=102, they are well worth reading. BIG-HEARTED motorists across the UK have given 'top marques' to a novel initiative that for the first time turns their growing number of unwanted cars into charity cash. Giveacar, a social enterprise which works in partnership with more than 300 good causes nationwide, has collected 3,000 vehicles – ranging from an iconic classic car to a jet-ski and even a mobile recording studio - since its launch a year ago. To mark its anniversary, Giveacar today unveiled its top ten list of prized vehicles that have come under the hammer in aid of their owner’s chosen charity – as well as some of the more bizarre. Prized manufacturers such as Jaguar, BMW and Land Rover all figure prominently in the top ten earners for charities – as does as a 1960s MGC convertible which netted £3,300. But the title of top-fund raiser went to a Vauxhall VX220 – complete with a sought after personalised number plate. Founder of Giveacar, 24-year-old Tom Chance, said: “We specialise in collecting cars with what we call the ‘Ex-Factor’ – those that have become unroadworthy, unused or unloved. “You would not believe the range of vehicles that we have been able to transform into cash - as well as some of the best-known names in motoring, we’ve even managed to generate income for our charity partners from a jet-ski, a mobile recording studio and several caravans. "The concept has really captured people's imagination. We expect to raise even more money for more charities in the next 12 months and beyond, as an ever-increasing number of owners decide to say farewell to their cars. "With record fuel prices poised to get even higher come April 1, spiralling insurance premiums especially for young women, and a new crackdown on insurance cheats just around the corner, the road ahead for motorists has never been so bleak or costly." Tom's idea has proven ‘the wheel deal’ for Giveacar’s growing list of affiliated charities, who have benefited by more than £250,000 by the initiative so far – a much-needed extra source of income in the tough economic climate. The initiative is also supported by local authorities and environmental charities for the ‘green’ way in which is takes unroadworthy cars off the streets and disposes of them. 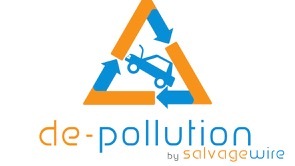 Regardless of their condition, cars are picked up by Giveacar free-of-charge direct from people’s homes and sold at auction or disposed of at an authorised treatment centre. Proceeds from the sale are donated to a charity of the car owner’s choice, or one of the Giveacar’s partner charities. Even if the banger is scrapped, it still nets the selected good cause a minimum £40. The scheme is intended to discourage those irresponsible owners who may consider abandoning their cars, spoiling the appearance of the local environment and also costing local taxpayers’ money to remove and dispose of it. Tom added: “The DVLA reports that two million cars are taken off the road, yet only half are disposed of at an authorised treatment facility. If you ring a number which you saw on a lamppost, there is every chance your car will be picked apart, then left to rot, causing considerable environmental damage.